Join us for an exclusive TEDxMidAtlantic Adventure at the United States Department of State! How does diplomacy work? How does the U.S. Government work with the private sector to create more resilient and unbreakable communities? Find answers to this question and more at this unique, pre-event “TEDxMidAtlantic Adventure” at the United States Department of State. 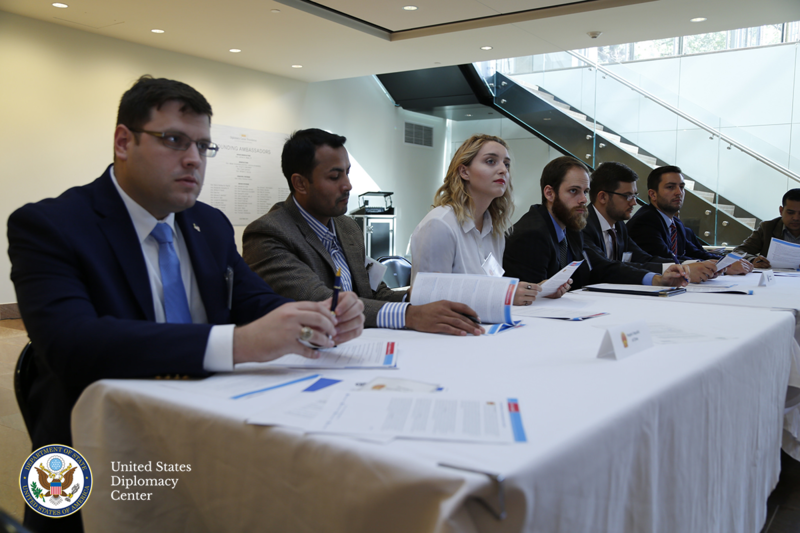 Hosted by the United States Diplomacy Center, two groups of 30 participants will take part in an interactive Diplomatic Simulation, entitled Freshwater Crisis: Energy Security and Economic Growth, requiring each group to work together in confronting international challenges. 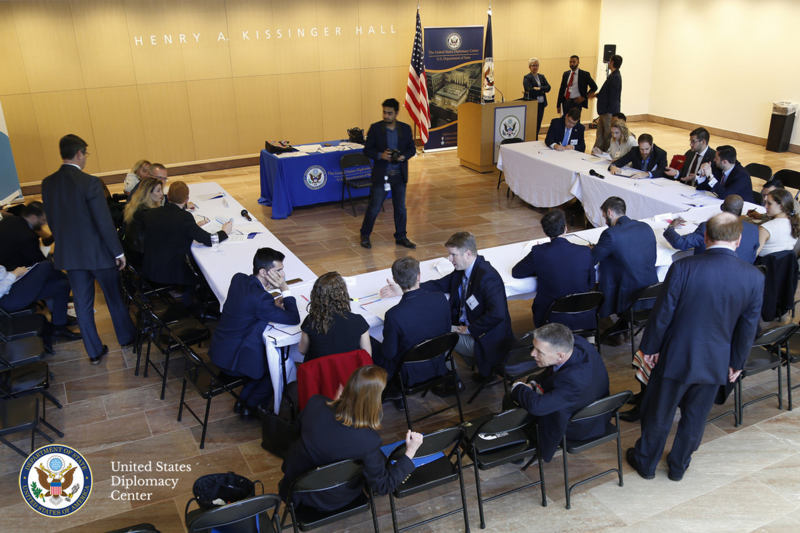 After the simulation, participants, along with other invited guests, will have the opportunity to attend a panel discussion on Why Diplomacy Matters: Public-Private Partnerships and our National Security, Prosperity, and Global Leadership. Aaron Salzburg, (Chief, Water Division, Bureau of Oceans and International Environmental and Scientific Affairs, U.S. State Department) and other panelists will explore how American diplomats partner with the private sector to confront critical global challenges such as access to fresh water, and how diplomacy supports our nation’s national security, economic prosperity, and global leadership. Registration for this free, optional event will be made available starting next week exclusively to TEDxMidAtlantic ticket holders. Attendees will be able to sign up for either the Diplomatic Simulation (arrive 9:30 am, March 29th) or the Panel Discussion (12pm-1pm, March 29th), or both. Space will be limited, so please watch for the registration link, as we expect it will be fully booked. This event will be held at the U.S. Diplomacy Center pavilion (330 21st Street, NW); following the Adventure, guests are invited to take a lunch break prior to arrival for TEDxMidAtlantic “Unbreakable” at Sidney Harman Hall (610 F Street, NW), where doors will open by 3:30 pm. This will be a stimulating and thoughtful way to kick off TEDxMidAtlantic, and we are deeply appreciative to the team at the U.S. Diplomacy Center who helped craft this experience for you with our team of volunteers. This work would also not be possible without our event patrons and partners — and special thanks to our Sustaining Partner, AARP. If you would like to attend this exclusive TEDxMidAtlantic Adventure, please be sure to secure your TEDxMidAtlantic ticket this week. We will be sending out the registration link next week to registered ticket holders only. We look forward to seeing you in March, and we hope you are able to join us for this unique experience!